Holy God, Word made flesh, let us come to this word open to being surprised. cast out our casual detachment. penetrate the corners of our hearts with this word. We know that you can, we pray that you will, and we wait with great anticipation. Amen. "Open to being surprised..." May those words do us good this week when the RCL readings contain one of the best known stories in Scripture. Yes this week we have the Good Samaritan. I have long since lost count of how many times I heard that story while I was growing up. 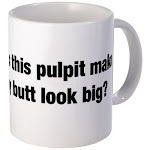 Luckily there are a few preaching themes to be found in it. We have Amos and the plumb line, a wonderful image of being measured against a standard (and a great tangible image if you can get hold of one to hold during the service--perhaps for children's time?) mind you the later verses in the selection are a bit more problematic. or in the other track we have Deuteronomy where Moses lays the groundwork for the Prosperity Gospel (live right and you shall prosper) but more importantly reminds his people that they are capable of living right. Take that Augustine and Calvin and your insistence that we can not make that choice on out own! Or maybe you want to wade into the letter to Colossians. Now that is a blessing Paul gives to the people! If only we could always be so thankful for the communities where we have served. Then too there is the option of the Narrative Lectionary where we have these readings. Or there are those who are off on a different path this summer. Wherever you are leaning this week, please share your wisdom and questions in the comments so we call all lean together (even if in totally different directions--which helps keep us balanced after all). Good Samaritan for me. Playing with the fact that Jesus himself was just rejected by them and the disciples offered the suggestion that fire be rained down upon them. Last time I used it to talk about immigration to mixed reviews - ahem. 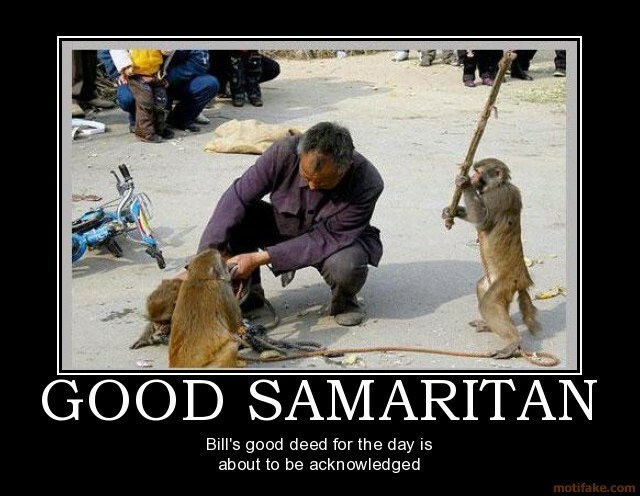 Good Samaritan for me too. I'm talking about grace. But my mind is everywhere. I am going on leave tomorrow (just coming in on Sunday for various reasons). Not going away but my 2 girls fly in from UK tomorrow morning and my sister and her husband (from Zimbabwe) on Saturday. Next Tuesday please join me in a glass of champagne as I turn 60! Right now got about 6 hours to finish about 24 hours work! I too am headed in Luke's direction - but am getting hung up in the first part of the dialogue with the lawyer - about loving our neigbour. Fellow Revgalblog pal jledmiston on her achurchforstarvingartist blog this morning shared a story of how missing the central message of love in scripture damaged irreparably a family. The blog post is titled: Bad Exegesis Kills. She writes: "Not one of us has cornered the market on Truth. It takes a lifetime to grapple with What God Is About. But let's start with love." I am still crying it touch me so much - so I am drawn to explore how to love what we fear most - how to love our neighbour who draws out our deepest fears and phobia's. RevGord you linked to your blog. Heather is referring to achurchforstarvingartists.wordpress.com I don't know how to embed a link. I wish I could remember what I did three years ago on the Good Samaritan so I don't repeat myself.But I can't find it anywhere! I might actually preach on Amos. He is one of my favorite prophets. I am reading Amos and Colossians this week because the Children's Sunday used the Good Samaritan's text. It must be a tough lectionary cycle when I'm considering a sermon series on Col. 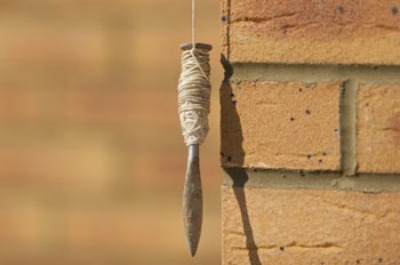 I think I am going to be using both Amos and Luke because I want to see the story of the Good Samaritan as the plumb line of our Christian lives-- How do we live out the gratitude of our lives and how to we hold that gratitude as the goal for our care of others. How does that gratitude become the plumb line for our actions. At least that is what I am toying with now. 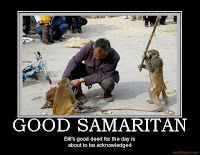 I am going with the Good Samaritan. It is my belief that most people (of various and no religious persuasions) honestly think that stopping to offer aid is the better choice in an ideal situation. But often that is not the choice that is made. So what stops us? I posit that two of the main things are our busy-ness and our fear. Selfishness/self-centeredness comes farther down on the list for me. RDM, Amos is one of my favourites too. HAs been ever since we read him in my first year seminary class on justice. Pat, an early happy birthday! KZJ I would suggest that societally we still want fire rained down on those who "get it wrong"
Love the whole plumb line metaphor, and though I may draw on it (great thoughts, Muthah+), I'm drawn to the final exchange in Luke and the opportunity to talk about mercy.